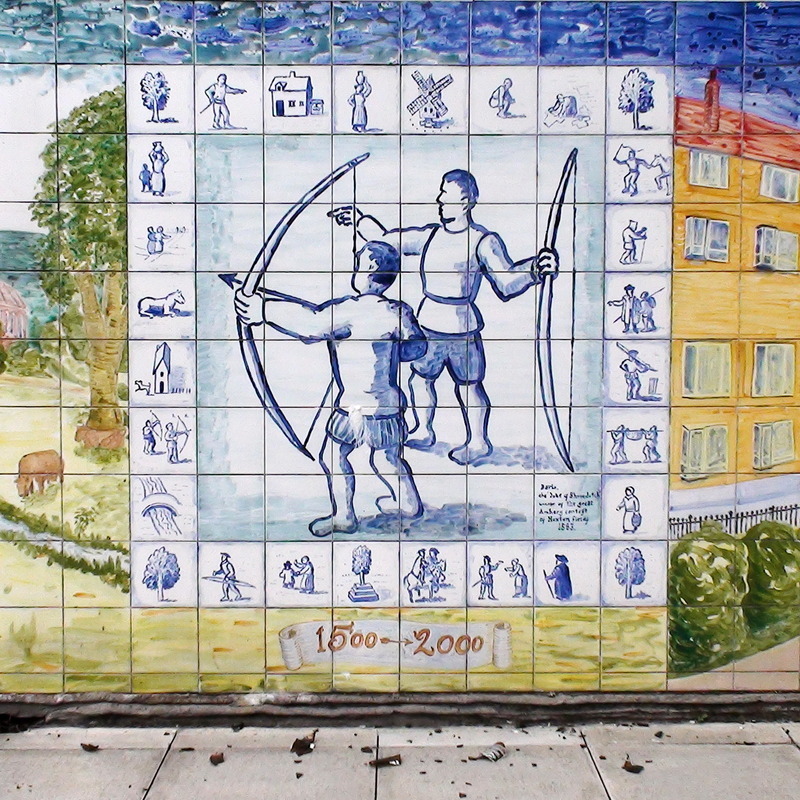 Barlo, the 'Duke of Shoreditch' winner of the great Archery contest of Hoxton Fields 1583. The section of the mural to the left of our photo shows archery butts set up in fields with cows, a church and a few houses in the background. 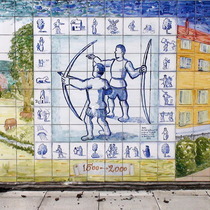 One of the tiles near the right hand end reads: "Mural designed by Neil Irons with help from the residents of Charles Square. Made at Hackney City Farm by N. Irons and S. Bird, 1999." More pictures at Joy of Shards.